Last month, I wrote about how important it is that children read and listen to stories of heroes and I offered a couple of suggestions in the fiction genre. This month, let us take a look at a few examples of recently published historical fiction and nonfiction children’s books. These selections, which center on real heroes from the United States’ storied past, are worthy of a bookmark. We’ll begin in colonial America with Francisco Menendez, who was born in West Africa, brought to Charles Town, South Carolina as a slave, and who helped found the first free black frontier community. A new book, Fort Mose, by Glennette Tilley Turner (Abrams, 2010), tells his story and reveals this important piece of early American history. Located in St. Augustine, Florida, Fort Mose was “the early, southern destination of the resistance movement that would later become known as the Underground Railroad.” The free Africans, Native Americans and Spaniards at Fort Mose declared allegiance to the King of Spain and the Catholic Church. From its founding in 1565, there were numerous skirmishes with British colonists. Fort Mose was abandoned in 1763 when Florida became a British colony. This book is the result of the author’s lament that rarely does a history book or teacher mention the story of Fort Mose. It is an informative addition to any classroom library. 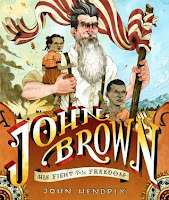 Elementary school children looking for a civil war-era biography will enjoy reading John Brown: His Fight for Freedom, by John Hendrix (Abrams, 2009). 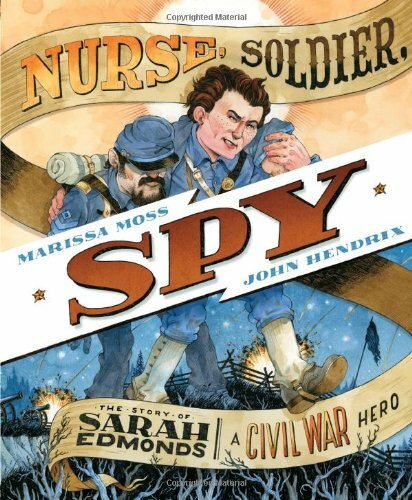 With bold illustrations and a sense of urgency in the text, Hendrix hurls young readers into the middle of John Brown’s passionate fight for the abolition of slavery and his attack on Harpers Ferry in 1859. The larger-than-life illustrations of John Brown, Harriet Tubman and others give this book the look and feel of folk legend. Hendrix’ word choices enhance this romanticized sense and create excitement. 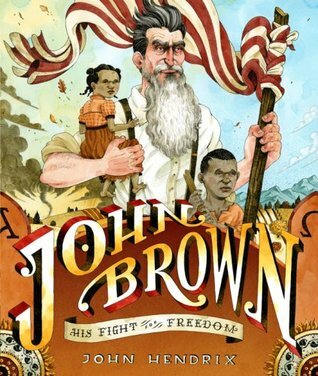 Hendrix takes a little literary license, noting “some events, conversations, and compositional staging have been reimagined to make them more appealing,” but he captures the fighting spirit of this controversial figure in the hopes of spurring interest in further study of the life of John Brown. 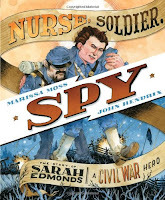 Hendrix also lends his energetic illustrative style to another engrossing historical picture book, this time written by Marisa Moss: Nurse, Soldier, Spy: The Story of Sarah Edmonds, A Civil War Hero (Abrams, 2011). It is the story of a young woman who disguised herself as a man so she could fight in the Civil War. Moss captures the free-spirited nature of nineteen-year-old Sarah who signed the name “Frank Thompson” when she joined the union army. The excitement builds when Sarah is asked to infiltrate a Confederate camp disguised as a slave. The author’s note in the back of the book supplies details that were left out due to constraints of length and artistry. Young readers often skip over such things, but it would be a mistake here. Moss ends her exciting tale just as Sarah returns to the Union camp to report what she has learned from spying. You have to read the note to find out the rest of her story. Marissa Moss pairs up with illustrator Andrea U’Ren for a picture book based on the true story of Ida Lewis in The Bravest Woman In America (Tricycle, 2011). This tale can be enjoyed and understood by children as young as five, and it is also appealing to children who are much older. Born in 1842, Ida Lewis was an exuberant girl whose father taught her to row a boat and tend the lighthouse at Lime Rock. When her father grew ill, sixteen-year-old Ida took over his job watching the harbor and rescued a group of boys whose boat overturned in the choppy sea. U’Ren uses watercolor, ink and acrylic in warm tones to capture the duality of the joyful and tormenting seas. She captures fierce determination in Ida’s face in her rendering of Ida rowing to Lime Rock. On the last page, an arresting image of a smiling girl jauntily wearing her father’s captain’s hat educes confidence and pride resulting from a job well done. 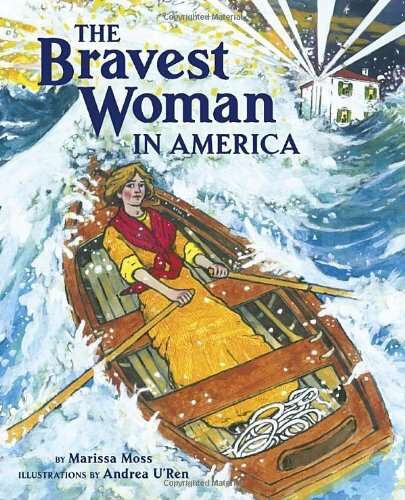 “The Bravest Woman In America” is a hero story worthy of any youngster’s bookshelf. 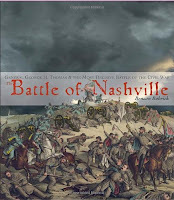 Our final selection this month is Battle of Nashville, by Benson Bobrick (Knopf, 2010). This book is a serious study of the Civil War and of the personalities who shaped it. It gives readers ages ten and up a fascinating look at the heroes of American history. Though it looks a bit daunting, like a high school text, the book is written with a sensitivity and insight that is more like poetry. Instead of a mere recitation of facts, Bobrick reveals the deeply personal side of battle, revealing the humanity of the generals and soldiers who are embroiled in war. Adding to the drama are extraordinary photographs: the Capitol dome under construction; a horse-drawn hospital carriage gathering up the wounded; and Union soldiers sitting astride a 300-pounder Parrott rifle, it’s muzzle shattered. 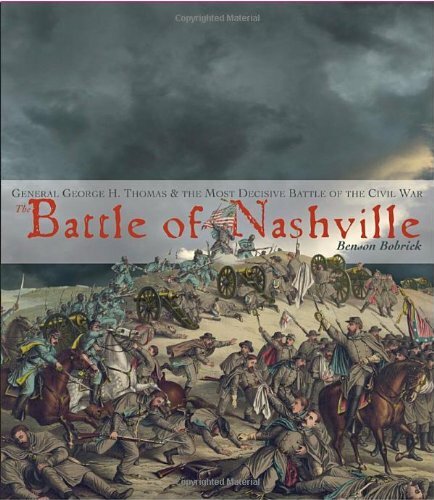 Accessible enough for middle readers to read alone, and exciting when read aloud together, “Battle of Nashville” is one to bookmark. These are incredible reviews that make me want to rush out and get all of these books. We have gotten excited about books on the different wars and this mom has been looking for good read-alouds that aren't as dry as textbooks. Thanks!